Last season Chelsea won the title by eight points, and most likely this team will be the one to beat if any anyone from the Big 4 wants to secure the title. The contenders that will be challenging the supremacy of the Blues will be Arsenal, Manchester City and Manchester United. Each team has strengthened its squad with some interesting signings, so there will be lots of betting opportunities in every category possible. All the bookmakers give Chelsea the best odds with some bookies offering as low as 7/4 and as high as 2/1. But, there are some uncertainties regarding how fit Diego Costa is and how fit he will be throughout the season. This was the main reason behind Mourinho’s decision to get Falcao on a loan. Last season Chelsea had a big weakness, and that was the depth of their striker position. Whenever Costa was injured, Mourinho had problems. 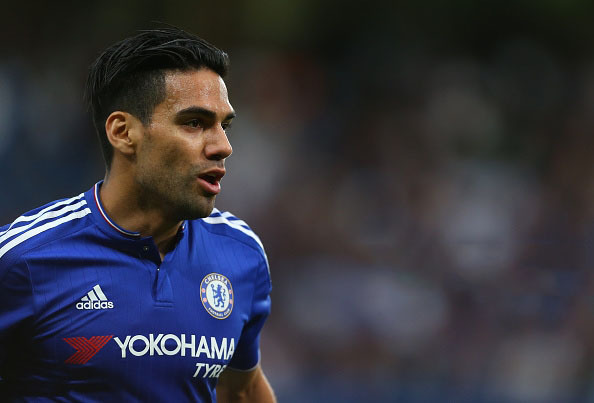 Now, with that concern out of the way, Mourinho only has to get the best out of Falcao as well as Costa. He knows how to win the title and will do whatever it takes to win it. If the defence is rock solid this season as well, he will grab the title without a problem. Hopefully Terry’s age won’t start to pose a problem. Meanwhile, the busiest team on the transfer market has been Manchester City. Their mind-set is to regain the title, which is why they brought Sterling and Delph. City is favoured by the bookies in front of Arsenal and Manchester United, and you can back them at 12/5, the best odds you can find at the moment. City has had an impressive record at home last season, losing only five games while winning 63. They have only one weakness: their away form. If they want to win the title, they will have to improve that statistic. A smart bet would be the Top Goalscorer bet on Sergio Aguero (3/1). He scored impressive 26 goals in 33 games, and there is no reason why he cannot repeat his performance again. Other smart bet is the Over 3.5 Total Goals bet. Since Pellegrini came to Manchester City, the team has scored at least four goals in 47% of the games. Some also suggest that Arsenal could surprise with a title win. After winning the FA Cup successively, the Gunners are all set for a much tempting trophy. They haven’t won the title in 11 years, but now might be the time. Some bookies even give them better odds than Manchester United, even though the Devils have made some really exciting signings. Nevertheless, you will find relatively the same odds ranging between 9/2 and 5/1. Arsenal’s strength is their home form and home goals, where Sanchez had an impressive goals and assists tally. However, the team lacks consistency and usually struggles against Chelsea, City and United. Manchester United on the other hand were excellent against the elite teams and has an excellent squad depth. If they can eliminate all the last season’s weaknesses, they can come on top of Arsenal. Below the Big 4 are Liverpool (20/1). You probably shouldn’t discard Liverpool from the title race, or at least from the Top 3 Finish race, where you can back them at 5/1. At the lower end of the table we have debutants Bournemouth priced at 7/5 to be relegated, Norwich (11/10) and Watford (8/11) whose experienced coach has been replaced with Enrique Sanchez Flores. An interesting bet would be betting that Newcastle will finish in the top 10 (5/2). All they need is a stronger performance than last year.